Sanders is extracting meaningful and necessary concessions from the party establishment. As every hard-boiled hack knows, politics is a serious pursuit for serious people, a point the more grizzled, or literate, sometimes emphasize by quoting Mr. Dooley’s remark that “Politics ain’t bean-bag.” Dooley was a fictional sage, the mouthpiece for Finley Peter Dunne, a newspaper columnist at the turn of the last century. A Chicagoan, and therefore a cynic, Dooley said a lot of quotable things, including “Trust everybody, but cut the cards” (an obvious influence on Ronald Reagan—or his speechwriters). But his insight needs updating, mainly because the original—“Sure, politics ain’t bean-bag. ’Tis a man’s game, an’ women, childer, cripples an’ prohybitionists ’d do well to keep out iv it”—is unfit for our enlightened age, and not just on account of the Irish stage accent. Besides, nobody really knows what “bean-bag” means. Some Clinton supporters have been wondering aloud when Bernie Sanders would give up his hopeless campaign and go home before a single vote was counted. Since the California primary, though, the outcry has spread far beyond the usual suspects. In the past few days, some usually intelligent people have been trying to push Sanders into joining Elizabeth Warren aboard the Clinton Express, including two writers I admire, our own Joan Walsh and Esquire’s Charles Pierce. I cite Pierce at length because his prose makes me happy, but his argument here seems entirely mistaken. There may indeed come a point when Bernie and Hillary hold hands and sing “Kumbaya” on MSNBC to the enormous relief of Rachel Maddow and the delight of a grateful nation (maybe with Rahm Emanuel, Cornel West, Debbie Wasserman Schultz, and Nina Turner singing backup). But that will be a photo opportunity, not politics. Because—repeat after me—politics ain’t day camp. Politics is about power, and right now Bernie Sanders still has considerable power. Not just because of the 13 million–plus people who voted for an openly socialist Jew from Brooklyn and Vermont, or the 23 states he won (as well as Democrats abroad). Or the nearly 1,900 delegates he’ll have at the convention in Philadelphia, or the thousands of supporters on the streets outside the hall. Or even the over $229 million he raised, almost entirely from small donors, demonstrating that the leviathan of corporate funding has a soft underbelly. All of that matters. But there’s something else that sets Sanders apart from Hillary Clinton in 2008: He doesn’t want a job. Unlike Clinton, who used a position in the Obama administration to preserve her own political viability, Sanders doesn’t need—or seem to want—anything for himself. Which only adds to his power. What really bothers these writers is that Bernie still has the power to damage Clinton. This fact accounts for the rash of stories “worrying” that in not endorsing Clinton, Sanders “risks weakening his negotiating position”—or, indeed, has already “overplayed his hand and lost his leverage.” Seriously? What really bothers these writers is not that Bernie might blow it and damage his own cause, but that, defeated as he surely is, he still has the power to damage Clinton. Why else would they be trying so hard to take it away from him? “This is no time for Democrats to keep fighting each other,” Jerry Brown said when he endorsed Hillary Clinton just before the California primary. In 1992, though, Brown—then a Democratic presidential candidate who’d won all of five states—didn’t withdraw before the convention; somehow Bill Clinton’s candidacy survived. Jesse Jackson waited until the convention to endorse his opponents in 1984 and 1988—and though the Democrats lost both times, nobody blamed Jackson. In fact, 2008 was the only actively contested Democratic nomination since 1972 that didn’t go to the convention. What does Bernie want? That’s clear enough: “The major political task that together we face in the next five months is to make certain that Donald Trump is defeated, and defeated badly.” He’s already said he’d vote for Hillary. And he recently described her new proposal on college funding as “a revolutionary step forward.” So why can’t the Clinton people just take yes for an answer? Because this is about more than beating Donald Trump—necessary though that is. It’s also about power, inside and outside the Democratic Party. 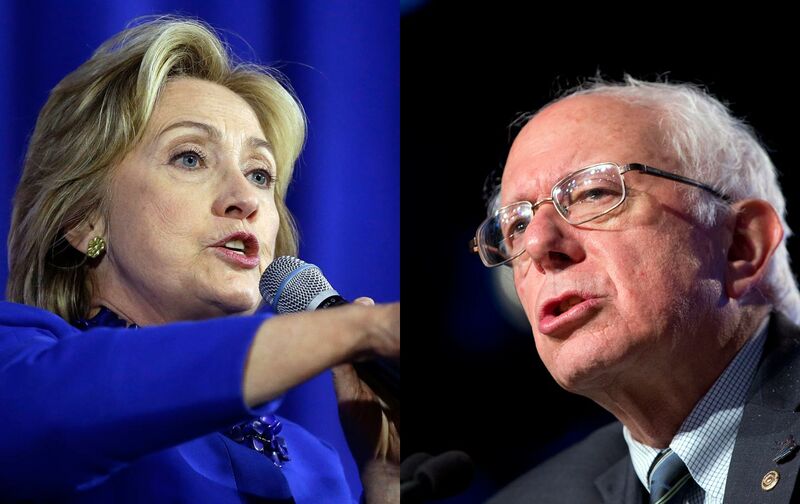 And while the first objective unites Clinton and Sanders—and should unite their supporters—the second will continue to divide them long after the ballots are counted in Philadelphia. Again, Sanders has been clear about this all along. He wants to free electoral politics from the shackles of corporate influence, fix our broken criminal-justice system, make health care a human right, stop rationing higher education based on the ability to pay, end our dependence on fossil fuels, and reverse our country’s accelerating slide into oligarchy. And though the word “trade” appears nowhere in the recent Washington Post column setting out his demands, he also wants to stop the Trans-Pacific Partnership (TPP). To force the changes he and his supporters want, Sanders needs more than just platform commitments. He’ll need the Democratic Party to open itself up to organized grassroots activists instead of corporate money. He’ll need a swarm of progressive officeholders, from school boards to state houses, giving the political revolution real clout today—and a bench for tomorrow. He’ll need allies in Congress committed to advancing his agenda—including the guarantee of a significant role for himself. And he’ll need a few cabinet members who share not just his goals, but his willingness to fight for them. The platform is the easy part. Here the changes Sanders has already won—the death-penalty ban, shutting down private prisons, instituting a financial-transaction tax, Social Security expansion, a modern-day Glass-Steagall Act—are worth celebrating. Not because they tie the nominee’s hands—no platform commitments are binding—but for what they say about the party’s direction, and about Clinton’s own intentions. For the same reasons, though, the platform committee’s refusal to take strong positions on a $15 minimum wage or Medicare expansion—or any position at all on a fracking ban, a carbon tax, or the TPP—are especially disturbing. On the surface, the committee’s refusal to give ground on the TPP makes the least sense. There may well be a progressive argument in favor of it; there are certainly internationalist grounds for favoring free trade. But Clinton never made that case. Since October—when, on the eve of the first Democratic debate, she finally disowned the deal she’d once said “sets the gold standard in trade agreements”—Clinton and Sanders have supposedly been on the same side of a fight that, for many voters, is their defining issue. “If Clinton backslides on TPP now, she’s done,” one labor leader told me. Yet the platform committee rejected Clinton’s own position by a vote of 10 to five, giving credence to suspicions that she might change her mind again, allowing a lame-duck Congress to nod the trade deal through after the election—a charge that damages her much more than anything Sanders might say, especially since Donald Trump has already moved into the space to Clinton’s left on trade. If you actually support Sanders’s goals, then you should be grateful he’s still fighting for them. If you actually support Sanders’s goals—on expanding health care, economic equity, fair trade, the environment, ending a foreign policy of regime change, and achieving justice for the Palestinians—then you should be grateful he’s still fighting for them. Until the convention, time is on Bernie’s side. He’s already committed to campaigning to defeat Trump. Clinton supporters who want him to go beyond that should be leaning on their own candidate and her surrogates, not on Sanders. When should Bernie endorse Hillary? Before the convention: when she’s agreed to change the game so it isn’t rigged. Or when she’s given him or his allies real power—cabinet positions, committee chairs—in her administration. When she’s moved left on every issue she can—and given a credible explanation for why she can’t or won’t on the others. At the convention: when there’s nothing left to win—and an election to lose.